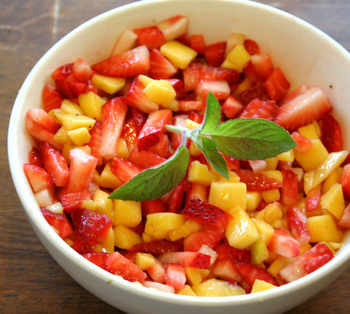 Finely chop strawberries & mango. Mix in small bowl. Chill for at least 2 hours to allow flavors to meld. To serve, scoop vanilla ice cream into serving dishes. Add 2-3 spoonfuls of salsa on top. Garnish with mint sprig.